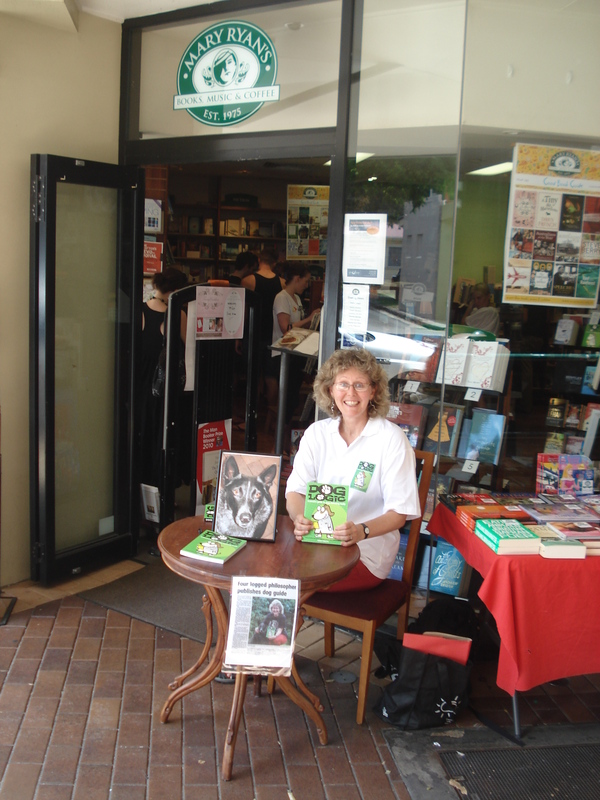 As you would realise, the very fact that I am blogging, means I survived the book signing. It wasn’t quite what I expected. Due to space constraints at Mary Ryan’s New Farm store, I didn’t get to sit in the air conditioned luxury surrounded by wafts of brewing coffee. They set me up just outside, in the steamy Queensland heat. On the positive side, the table was rather lovely; round and wooden with a certain old world charm. Sox’s photo beguiled many as they walked past and as for the paw stamp! This has proved to be a real success with the dog loving public. There were many ‘how cute’ gasps as I explained it was a genuine Sox paw print made from a genuine Sox paw. While there were many who slowed and smiled, and even quite a few who actually stopped to flick through the book, sales were not brilliant. Maybe a number of the ‘lookers’ will return and purchase at a later date. I live in hope. Thanks very much to the lovely staff at Mary Ryan’s for inviting me along.